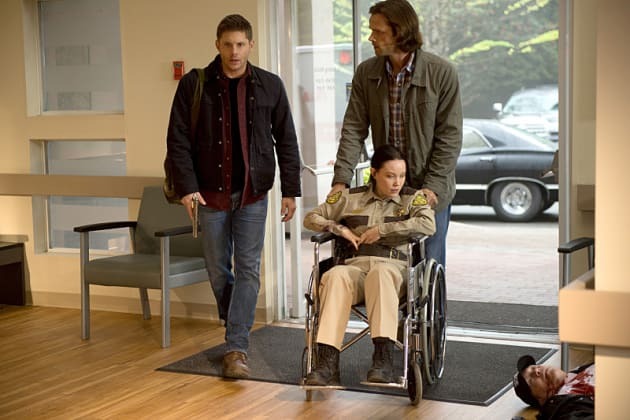 Dean and Sam are wheeling in the patient, although this photo is a little misplaced. We'll soon find out just where it belongs in the scope of things and what kind of entity they're dealing with as the premiere airs on Wednesday, Oct. 7 at 9/8! 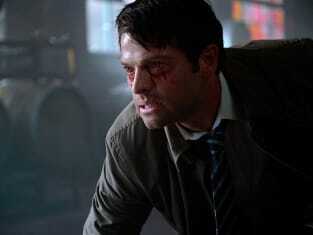 Supernatural Season 11 Episode 1: "Out of the Darkness, Into the Fire"